Daily care and maintenance of your instrument is very important to how well your instrument performs. Watch this quick video below for a few, quick tips on caring for your trombone. Seven in ten Americans (71%) say that the learnings and habits from music education equips people to be better team players in their careers. It is that time of year again. We are all getting into the swing of another school year. Getting new supplies, meeting new friends, and adjusting to a new schedule. It is also a great time to upgrade to a new instrument! There are many advantages to upgrading your student’s instrument. In many cases, it will be easier to play, it will make a better sound, and it will give your student the excitement to keep progressing on their musical journey. 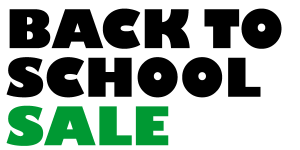 Now through the end of September we will be having our Back To School promotion! It is easy to do; you just give us your horn, fill out a new agreement, and leave with an upgrade! The best part of it is that you can leave your wallet at home. If you upgrade this by the end of September you will be able to walk out of the store with no money down! If you have any questions, feel free to call our sales department at 1-800-382-1099.